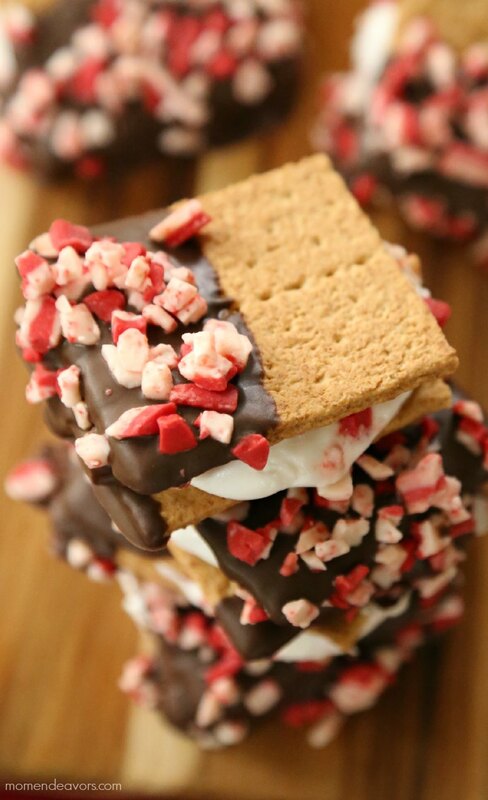 Oh my goodness, all…Peppermint S’mores!!! These are SO good! So SOOO good! We’re big peppermint fans here (even the littlest one at just 2 years old), so it’s a staple flavor in our holiday treats – like peppermint brownies, chocolate peppermint trifle, peppermint chocolate cream pie, peppermint shortbread cookies, peppermint bark. Mmmmmmm!! 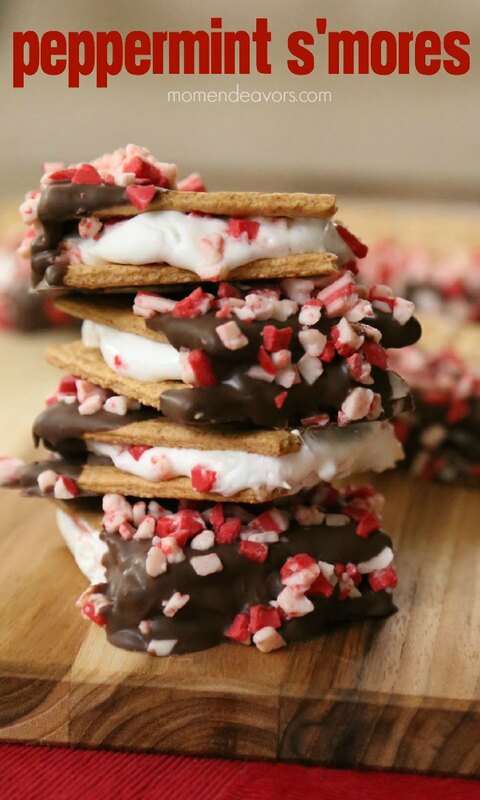 We had such a good time making s’mores at home over Thanksgiving, that I decided to try an at-home holiday twist with peppermint! And, not only do these taste great, but they are insanely easy to make (something the kids can easily help with)! With just 5 ingredients, you can whip a batch up in no time. The end result look fun & festive – perfect for your holiday dessert spreads and parties! These were a HUGE hit and did not last long in our house! So, these will definitely be making more appearances! They’re perfect for holiday parties and packaging them up nicely would make for a pretty neighbor/hostess gift too! 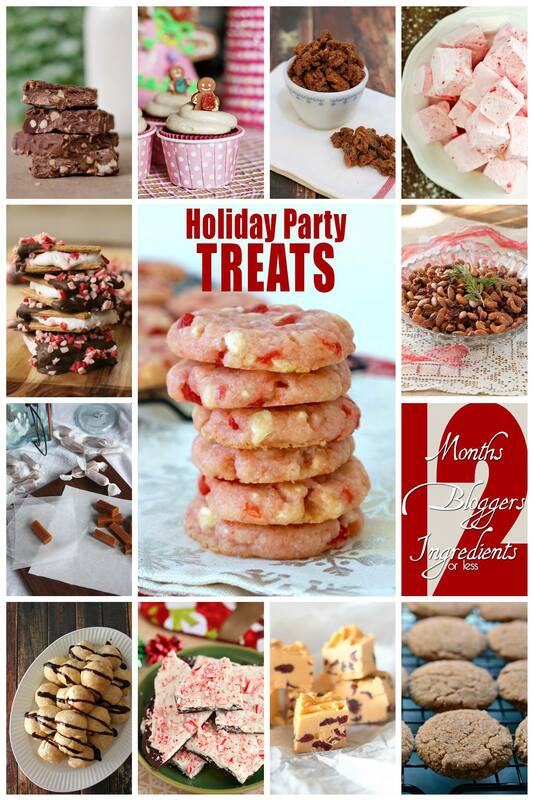 Now, how about 11 more delicious holiday party treat ideas?l! It’s the 12 of the month, so that means it’s time for our last #12bloggers post of the year!! 12 themes, 12 bloggers’ recipes with 12 ingre­di­ents or less, posted on the 12th of the month! We’ve shared some great themes this year like quick & healthy meals, fresh fruit desserts, cookout favorites, food in jars, after school snacks, tasty tailgating recipes, and more! Now, we’re finishing off the year with some holiday fun! Enjoy!! What’s holiday recipe do you want to try first? Andes baking chips are probably the best thing ever! I can’t wait to try these. Oh my goodness! 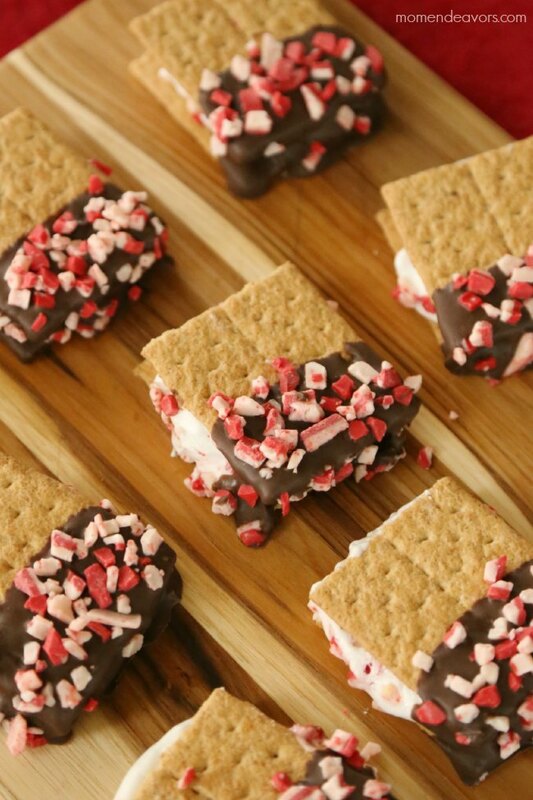 I’ve got to try these for sure- anything chocolate and peppermint is a holiday favorite of mine!